Let’s start with mom. My mother told me a few years ago about her interactions with the Social Security Administration (SSA). She needed to go through all the preparations to retire, make benefits decisions, etc. She wasn’t looking forward to it, but she encountered an employee with SSA who left her feeling confident she elected the right benefits. And a bonus: she really liked and trusted the person helping her. What happened? How, amidst all the challenges, was that SSA employee so successful for my mother? Countless moments of successful government happen every day. But these positive examples lay at complete odds with the headlines, political discourse and studies and surveys. The public’s perception of government performance also lays at odds against the amount of effort expended by government workers to create success. First, an admission about ‘success’ in terms of government: many local, state and federal public administrators are struggling even now to define it. It isn’t always easy. Many governments are asking (some for the first time) what they should be measuring. This thankfully leads to the idea outcomes should matter more than outputs. Measurement also leads to more clarity on how to measure employee performance. Second, I’m focusing on one element of what creates a successful government entity. We all know that public perception (as affected by things beyond our control) likely doesn’t rest only on the success of the public’s interactions with government. In truth, I am choosing to believe that public administrators can likewise choose to focus on what is within their control, not what isn’t. An agency, a department, a government, all depend on the success of individual employees to then collectively become a successful organization. I know it’s possible to achieve acceptable outcomes without promoting and caring about individual success, but excellent governance, and excellent leaders, know that more is possible. ‘Success’ is more than being acceptable. So with the theme being about creating institutional success by focusing on individual success, let me also say that despite the titles of perhaps half the books on success, there are no secrets of success. Nor are there 99 secrets. Instead of secrets, there are three variables: competence, motivation and empowerment. These variables comprise the ingredients of a person’s success. I’ve been exploring these concepts and the relationships between them for years. Over the next three columns, I’m going to delve into each one. I’ll explain how much of each variable rests with the individual or with the leader. I’ll share how public administrators can leverage awareness of these variables into helping their people be more successful. Finally, I’ll make sure the dependent relationships between the variables are clearly outlined. All of this because the success of government rests on the success of government employees. Here’s the basic idea: a successful person is one who is competent, motivated and empowered. 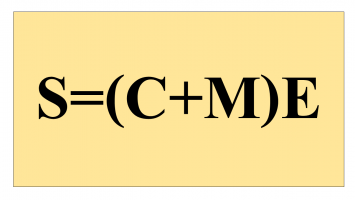 In terms of the formula that helps us define the relationships between the variables: Success = (Competence + Motivation)*Empowerment or S=(C+M)E. Competence is the sum total of a person’s knowledge, skills, and abilities. Motivation is the total of both the inward drivers for and outward expressions of one’s level of commitment. Empowerment is the total of all external influences that act upon the individual making it more or less likely that they can succeed. You’ll notice a few things already. For example, you probably noticed that Competence and Motivation are mostly within the control of the employee, while Empowerment is in the control of the leader. As said before, the follow-on columns will explore this in greater detail. 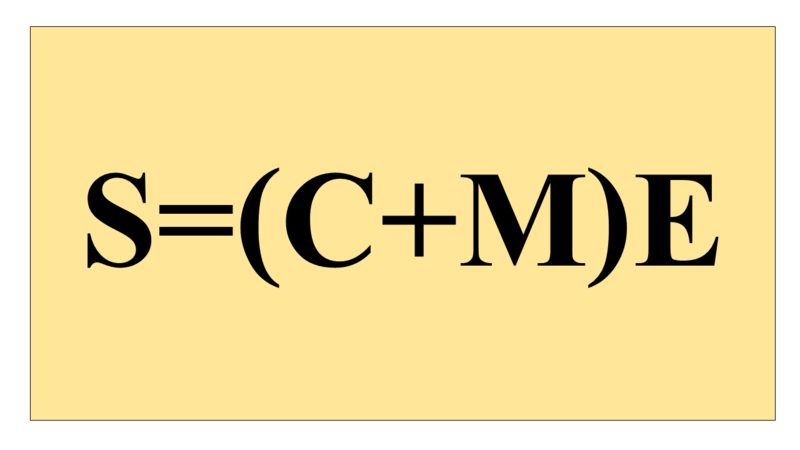 You also probably noticed the formula multiplies Empowerment by the sum of Competence and Motivation. This will be important later for exploring how important it is to properly assess the individual as well as the danger represented by overly strong or too weak empowerment. We’ve seen an inescapable, and arguably worthwhile, push to improve outcomes and increase efficiency in government. If we, as public administrators can recognize our role in improving government employee success, we are far more likely to lead departments and agencies that are deemed successful. Author: Anthony Buller has a decade of experience with the federal government and can be reached at [email protected].